This INLPTA and VT Certified programme over 14 days is designed to help people move to greater elegance flexibility and freedom when coaching others. It includes training, research, case studies, demonstrations, feedback and practice supervision and is aligned with the accrediting criteria of leading coaching associations (EMCC, ICF, AfC). The course is for people who are serious about excelling as a Coach and is most suited to experienced Consultants, Coaches, Master Practitioners of NLP, Facilitators or Trainers. "Loving coaching right now. Loving the awareness and the practical use of emotions too." "Brilliant learning for me at work." Entry for this course is to a select group of people dedicated to developing their coaching skills through training, discussion, peer support, feedback, supervision and reflection. "It's got some great tools and techniques in it but, to be honest, the course is about so much more than that. It's about who I am when I coaching others"
To help coaches define and consistently connect with their authentic best as a coach. Complete your portfolio that includes 2 demonstrations with feedback, 3 case studies, 40 hours coaching log, 15 hours supervision log, personal profile and coaching plan within 12 months. All successful graduates of the programme will receive a VT Master Coach certificate. 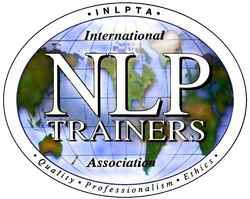 For those who have completed a NLP Master Practitioner Course they will also be certified as an INLPTA Master Coach on successful completion of this course. "Thanks for a great week Neal. I appreciated how you increased group trust and safety without it getting too cosy. My travelling today is providing some luxurious further reading, reflecting and processing time, and there are a number of things I know I can practice during this week's workshop, and likely other unplanned opportunities too - so I m excited!" Next course starts early 2016. At the moment I am accepting early registration. Email neal@valleytraining.co.uk to confirm your place.